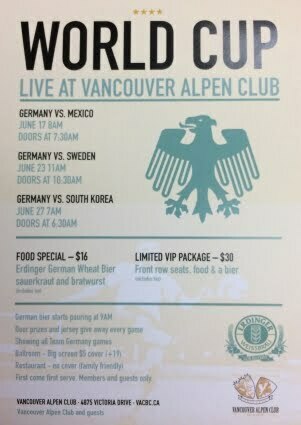 The Vancouver Alpen Club will show all games of Team Germany live on the big screen, starting with the game against Mexico on June 17th. AND ALL OTHER GERMAN GAMES TO FOLLOW! 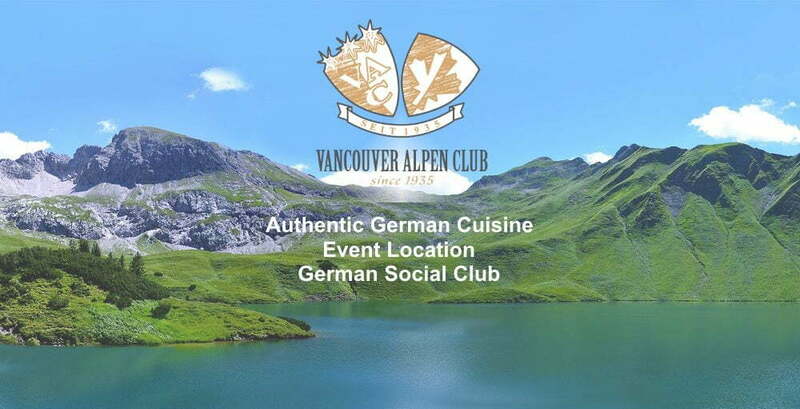 The Vancouver Alpen Club shows all games of Team Germany on the big screen in the Ballroom ($5 cover, +19) and on our regular screens in the “Deutsches Haus” Restaurant (no cover, family-friendly). 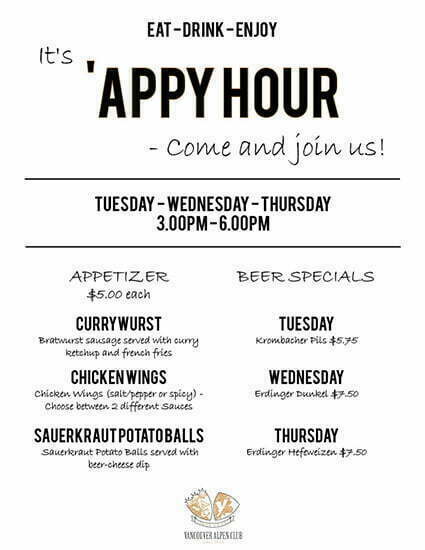 German beer starts pouring at 9am and we have a food special for $16 (Erdinger German Wheat Beer, Sauerkraut and Bratwurst, tax incl.). Additionally there are door prizes and jersey give aways at every game. New this year: The VIP section. The VIP package includes a great view, a food special and a beer as well as an Erdinger special edition beer glass and a goodie – for only $30 (tax incl.)! It is sold on a first come, first serve basis at the door, so you better be here early! Unfortunately we cannot take any reservations – first come, first serve. 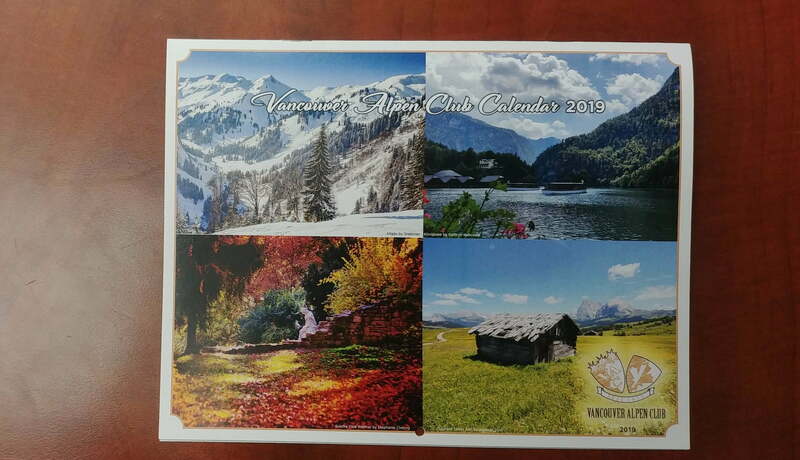 We look forward to welcoming you at the Vancouver Alpen Club to celebrate the FIFA World Cup 2018! previous post: New VACBC Website! next post: Welcome Back, Tanja!